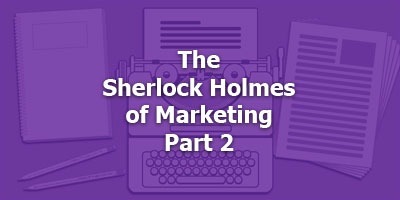 We’re back with Meron Bareket, who’s known as the “Sherlock Holmes” of funnels and conversions. He has the unique background and ability to find the “murderous leaks” in your online sales process — and fix them. When he combines that with his copywriting, you get outsized conversions and record profits. Today he’s going to talk about the just one horrible crime against marketing he sees people committing all the time. Often not knowingly or intentionally, but the results are the same. No matter how you kill the sale, you miss out on a lot of money you would have otherwise made. In this episode, Meron talks about what he calls “The Case of The Stolen Traffic.” It’s frightening on the face of it. What is worse, this could be happening to you and you wouldn’t even know it. What is more, it has the net effect of making the traffic that’s not “stolen” VERY expensive. • How Meron has reduced ad costs in a marketing campaign by up to 91% — simply by recovering “stolen” traffic that never should have been stolen in the first place. • Dead links in your emails. No, we’re not talking about when you put the wrong link in the email you sent out. There are other problems that keep people from clicking through once they’ve opened your email. Meron explains.